During December 2013 I was on vacation for half the month, so I didn't review most of the books I read -- some of them excellent and others highly enjoyable. I would like to share them with you. To begin, following are my impressions of two mainstream contemporary fiction books, one of them with science fiction elements. 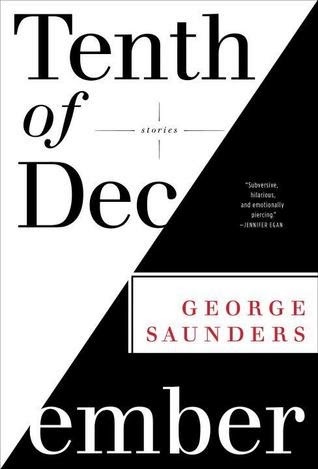 Tenth of December is a collection of ten short stories by George Saunders. He effectively uses a fusion of contemporary fiction with science fiction elements to develop a few of the stories, while firmly concentrating on contemporary issues throughout the entire book. The whole collection is notable for its sharp, modern literary writing style. I enjoyed all the stories in this collection, including the first one "Victory Lap," a rather humorous account in which two teenagers ultimately confront a dangerous situation and make momentous decisions. However, there are a few short stories that really stand out as memorable among the rest. Set in a futuristic experimental lab where juvenile criminals are used as ginny pigs to develop new drugs, "Escape from Spiderhead" is a fantastic sci-fi based piece with a slow build up to an unexpectedly devastating climax. The execution in this story is flawless and, frankly, I couldn't stop thinking about it for a long time. "The Semplica Girl Diaries" follows as another outstanding sci-fi based short that is slow to build but is grandly developed with slow, morally questionable revelations. This story is written in diary format by a husband and father competing with his neighbors and struggling to give his daughters the best future, but is he making the right decisions? Most memorable, for me, among the contemporary pieces are "Home," a tale of a soldier's homecoming, where Saunders mixes serious issues with sad irony -- "Thank you for your service!" And, in "Tenth of December" Saunders combines the sad realities of aging and terminal illness with the humorous fantasizing of the very young. Life experienced from both sides of the spectrum. The stories in this collection are relevant to contemporary times and issues, and they flow in a way that makes this a quick, excellent read. I personally love Saunders' sharp writing style and human approach to the subject at hand. It is unfortunate that this is one of those books that lingered in my Kindle for most of 2013, and that I decided to read it during my end-of-year vacation because Tenth of December is an excellent book and highly recommended. 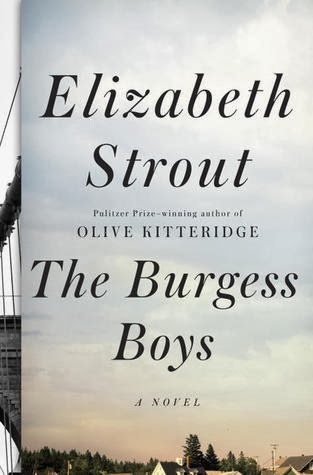 In December, I also read The Burgess Boys by Elizabeth Strout, another contemporary fiction book that lingered in my Kindle for much of 2013. In The Burgess Boys, Elizabeth Strout tightly weaves factual, controversial events that occurred in Lewinston, Maine in or around 2006 involving the sudden influx of Somali and Buntu immigrants to the area, with her fictional story about the three Maine-born Burgess siblings and the dysfunctional relationship that has existed between them since childhood. The two stories are tightly woven and, although Strout utilizes multiple perspectives to develop her story, -- intimate family and individual struggles, and community controversy -- the ultimate focus remains the same. Of course the fictional story about the Burgess siblings is the core of the book and the one that immediately grabs the reader's attention. There's Jim, the eldest sibling who seems to live a charmed life as a famous criminal defense attorney in New York City, with his wife Helen acting as the perfect foil for such a man both at home and in social situations. In sharp contrast to his brother, Bob, an attorney working in the appellate division of Legal Aid in New York City, leads the lonely, sad, and rather pathetic life of a divorced man who can't seem to move on, and whose dependency on his brother's presence and approval is constant and obsessive. They both hate Shirley Falls for different reasons, but find themselves heading back when their divorced sister Susan asks for help with her teenage son Zach who is in big trouble. He threw a pig's head into a mosque where the local Somali community worships, supposedly as "a joke," and the situation is rapidly getting out of hand. Strout's main theme poses many questions about "understanding." Do you really understand your parents, siblings, spouses, children? How about your community? Do you really know who they are? Strout delves on the consequences that arise from not understanding, or knowing. She does so by first presenting the characters as they appear to each other, slowly deconstructing them for the reader by digging into their relationships and struggles for truth and understanding and finally revealing the results. The main characters, Jim, Bob and Susan Burgess carry burdensome guilt due to a family tragedy that occurred in their childhood, and their families are unknowingly affected by this burden. Jim and Helen, Bob, Susan and Zach struggle with the consequences of not understanding, not knowing, as do the Somalis, the Buntu and the rest of the community in Shirley Falls. The story flows with little down time and excellent characterization. As far as sympathetic characters go, there are a couple, but most are portrayed as terribly human with flaws and faults -- worts and all. The Burgess Boys is a book I really wanted to read last year, and I'm glad I did. 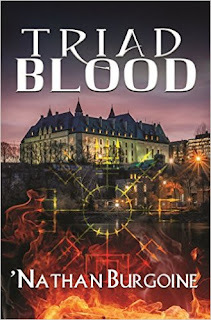 It asks some excellent questions of the reader, and the story is good from beginning to end with tight writing, great revelations, and deeply explored characters -- some likable and others that I truly loathed. Recommended. Every story in Tenth of December is the product of a delightfully strange imagination, the work of an accomplished writer with a distinctive style. This is a collection of small gems that perfectly balance plot and character development. There isn't a dud in the bunch. Agreed Cleo! It's one of the best books I read last year.